Josef Jařab was born in 1937 in Kravaře in Moravia. 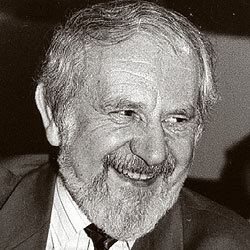 Highly acclaimed author, co-author and editor of more than thirty books, volumes of essays and anthologies mainly on American Literature and American ethnic cultures and issues of cultural pluralism and multiculturalism; member of innumerable universities and colleges; bearer of awards, honorary degrees and medals from governments and international institutions; participant in at least two hundred international conferences on literature, culture, education, political thought and issues throughout the world. After November 1989, he was elected Rector of Palacky University in Olomouc, where he served for two terms, currently chairman of the Committee of Foreign Affairs, Defense and Security in the Czech Senate.